Afterhell Goes to the Bazaar! 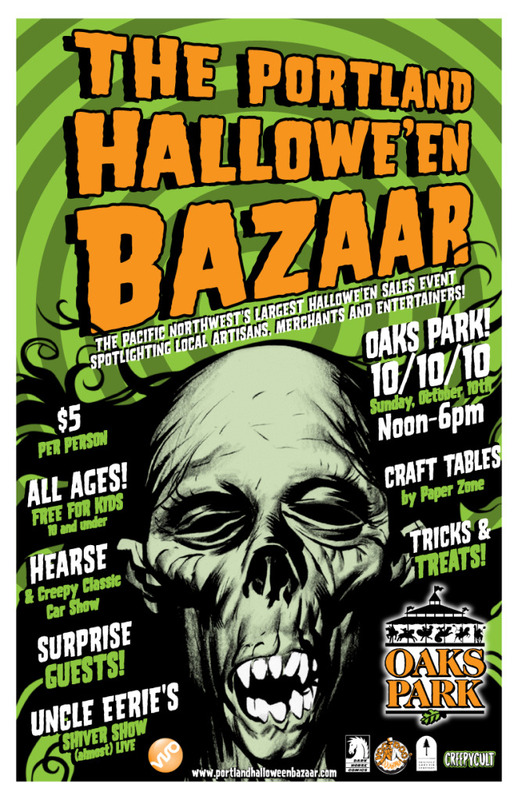 We will be vending at the third annual Portland Hallowe’en Bazaar this Sunday, October 10, from noon to 6pm. 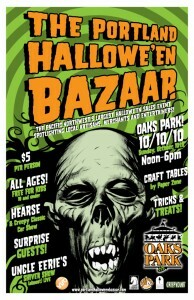 This grand celebration of all things delightfully spooky will be at Oaks Amusement Park in Portland. It’s in a giant tent, so you don’t have to worry about rain! Crafters and entertainers from all over the region will be there, giving you the opportunity buy handcrafted Halloween goodies you won’t find anywhere else and definitely not at the chain stores! All ages are welcome. We will have “Afterhell” CDs for sale, as well as discs from our friends at the Willamette Radio Workshop and Transdimensional Media (including a brand new release!) We’ll also have Mexican-style sugar skulls to help you celebrate Dia de los Muertos, and spooky jewelry from the House of Sailbourne!